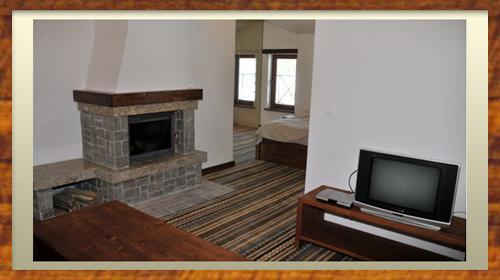 The Hotel provides 11 Executive Double Rooms and 2 Family Suites. All the rooms are furnished with direct telephone, satellite TV, wireless internet, mini bar, central heating and the bathrooms – bathtub or shower. The family suites have direct telephone, satellite TV, wireless internet, mini bar, local heating, and the bathrooms are designed with bathtub or hydromassage bathtub. Private terraces, gorgeous landscape view to the majestic Rila Mountain. All the rooms have mountain view. The hotel is open for guests all the year round. All the rooms provide an extra bed option. To book a room or an apartment, please welcome. Extra Kid up to 6 y.o.